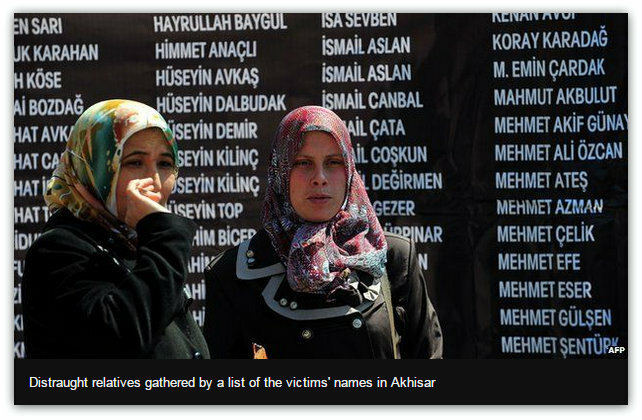 Former managers of a Turkish coal mine where 301 people died last year have appeared in court on murder charges. The eight ex-managers were ordered to testify in person, after plans for them to appear via video link caused outrage among victims' relatives. A total of 45 people are on trial over the Soma mine disaster, with the managers facing lengthy sentences. An underground fire sent deadly carbon monoxide through the mine. An inquiry criticised the mine's safety measures. It is considered modern Turkey's worst industrial accident. Prosecutors want the eight managers, who include former chief executive Can Gurkan and general manager Ramazan Dogru, to be handed prison sentences of up to 25 years, multiplied 301 times. In his initial testimony read by a clerk on Wednesday, Mr Gurkan said he could not be held responsible for the safety problems at the mine, according to the AFP news agency. "I am not an engineer, a technician or a workplace safety expert. I am just an executive and as I have no technical expertise, I cannot be held responsible for the accident," he was quoting as saying. 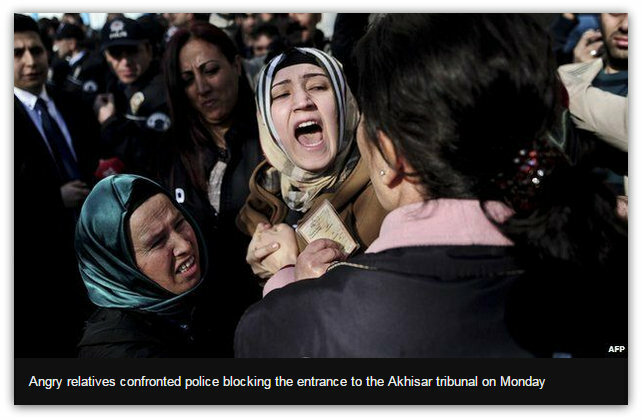 The managers were not brought to court in Akhisar, about 50km (30 miles) from Soma, on the first day of the trial on Monday for security reasons. But the hearing was adjourned until Wednesday because the court said the accused must testify in person. Defence lawyers are expected to use footage, obtained by BBC Turkish earlier this week, which shows miners preparing for their shift before the disaster and workers fleeing the scene as it unfolded. 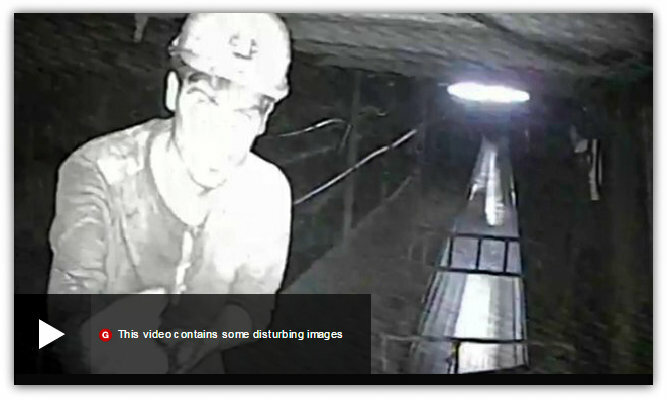 At one point, a desperate miner gestures towards the camera appealing for help. A rescuer is seen kicking a door in frustration at not being able to do more. Several hundred angry relatives protested outside the special tribunal on Monday, but police prevented them from getting in. Demonstrations broke out after last year's disaster, fuelled by an apparently insensitive comment by President Recep Tayyip Erdogan, who was prime minister at the time. He said accidents were "in the nature of the business". The International Labour Organisation says Turkey has the third-highest rate of workplace accidents in the world.